I'm going to have to excuse myself from posting until after the holidays...around Playoffs time. There is too much happening with my clothing line and taking care of my little family. Thanks for understanding, I want to spend as much time with them this holiday season as i possibly can! Happy Holidays everyone, see you soon! Alright everyone, how was your Thanksgiving? Our weekend has been long and lazy. Well, as lazy as you can be with two kids under 5. I feel like I am just now coming out of my food coma of Thursday night. This, along with trying to get my kids t-shirt line out the door for a trunk show next week has pushed football about as far to the back burner as possible. Next time, you guys, please remind me NOT to start a business (or two) before the kids turn two. In any case, this is why I've grown to love football (maybe 'love' is too strong a word...'appreciate', maybe.) It's because football is always there from Fall until Winter and if you don't really pay attention one season, there's always next season. People are keeping track of endless stats--right now, as we speak!--so that I don't have to. It can be white noise in the background, perfect for a nap. Or it can be jumping-out-of-your-seat-exciting with everyone screaming and cheering. It's kind of awesome. The Atlanta Falcons take on the Tampa Bay Buccaneers this morning. Atlanta still has the best record in the league at 9-1, but some say they are starting to look shaky as six of their past seven games have been decided by a touchdown or fewer. The Bucs have been on a winning streak so this should be an exciting game. Over in the frozen part of the country, the Chicago Bears host the Minnesota Vikings. This NFC north matchup should be great. Both teams have a winning record and with Bears QB Jay Cutler still possibly out with an injury, they'll have to rely on backup QB Jason Campbell. In any case, it will most likely be freezing and fun to watch. In the afternoon, San Francisco takes on the New Orleans Saints. This is a rematch of last season's NFC divisional playoff game which was super exciting and intense. The Niners ended up winning that game 36-32 with nine seconds left. I'm sure the Saints are excited for another shot at SF. Tonight's game is the New York Giants vs the Green Bay Packers. Eli vs. Aaron. Cold vs. colder. This should be one of those tough, hard-hitting games that are fun to watch. Enjoy this Sunday, all! Next week I'll recap this week's games and the Thanksgiving games. Until next time! Well hello there, everyone. Long time no talk! As usual, once Halloween wraps up, the mad Holiday Dash begins! I've also been busy with my little side project and generally moving at a furious pace in all areas of my life. As have you all, I'm sure. The girls and I are packing for our trip to Grandma and Grandpa's tomorrow, too. I kind of love it, though. These crisp, cool days always seem very purposeful because every second counts! Let's take a little break and figure out what the *#! *@*is going on in football! Indianapolis Colts at Jacksonville Jaguars: Number one draft pick Andrew Luck and the Indianapolis Colts are now 6-3 after beating the Jacksonville Jaguars on Thursday night. Remember that last year Payton Manning was injured and the Colts went to a 2-14 record. The Colts released Payton Manning (to the Broncos) who had been with the Colts his entire career and drafted Andrew Luck. Nobody thought Luck would make such an impact……but he has. Atlanta Falcons at New Orleans Saints: The ’72 Miami Dolphins can pop their champagne now that the New Orleans Saints have beaten the only undefeated team left this season. Both QBs threw for 3 touchdowns and 1 interception in a very hard fought game. Falcons tight end Tony Gonzalez had 11 catches for 122 yards and 2 TDs. Tony Gonzalez is now 36 years old and is the only tight end in NFL history with over 1000 catches for his career. New York Giants at Cincinnati Bengals: The Bengals crushed the defending Super Bowl champs 31-13. 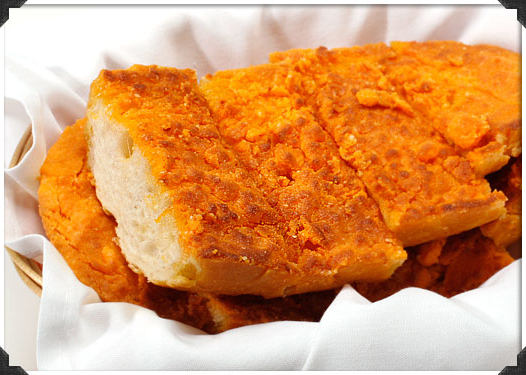 2nd year QB Andy Dalton had 4 touchdown passes in the game….Eli Manning had 0. Oakland Raiders at Baltimore Ravens: The Ravens destroyed the Raiders on Sunday 55-20. The Raiders ultra-fragile, injury-prone running back Darren McFadden did not suit up due to another injury. McFadden has never played a full season in the NFL and is well on his way to making the All-Fragile team since it seems like a gust of wind will injure him--or so says my husband. Tennessee Titans at Miami Dolphins: Well, our Hard Knocks hero Ryan Tannehill and the Miami Dolphins got creamed on Sunday. Tannehill threw 3 interceptions and 0 TDs. The Dolphins were looking good for a second but now have lost 2 straight games. Denver Broncos at Carolina Panthers: Payton Manning and the Broncos have won 4 straight games, beating the Panthers 36-14. Payton was a huge question mark at the beginning of the season….people didn’t know how he would perform after having 4 neck surgeries and not playing for an entire year. Payton hasn’t lost it and is well on his way to his 5th MVP honor. St Louis Rams at San Francisco 49ers: A tie? What the heck? So apparently in the regular season if no team scores in the 15 minute overtime the game is over and the teams tie……..there are many curse words that came to my husband’s mind when this happened. 49ers QB Alex Smith was injured during the game and 2nd year back up QB Colin Kaepernick came in and played pretty well for the 9ers. Unfortunately 9ers kicker David Akers missed a field goal in overtime that would have won the game….but so did Rams kicker Greg Zuerlein. Very un-satisfying…..
Houston Texans at Chicago Bears: It was a cold one in Chicago. The score can indicate that…..13-6. The Texans won the game and are 8-1 for the first time in franchise history. 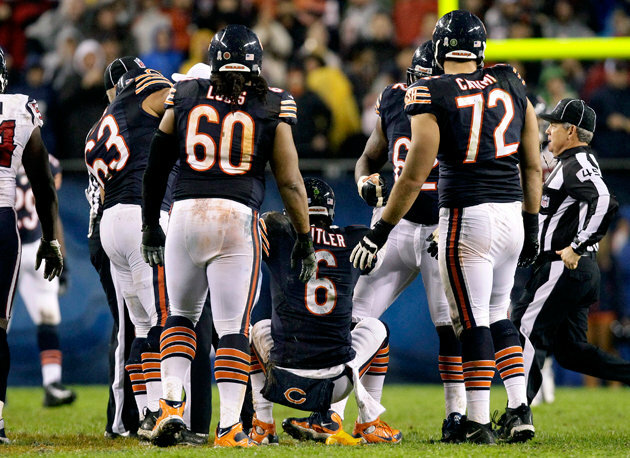 Jay Cutler was hit very hard and suffered a concussion. So that's pretty much it. Stay tuned for week 11! Sooooo....I found these "honest logos" for the 32 NFL teams, created by Justin Halpern and Brian Huntington, over at Grantland.com. Now I don't "get" all of them (although I'm sure my husband could explain each and every one to me) but the ones i DO are hilarious!! Stay tuned for a recap and what to watch for Week 10. Hi all, we are in Chicago for the weekend for my sister's baby shower. Don't have your updates for this weekend, I hope you guys will survive. Go Bears and enjoy your weekend! So the Atlanta Falcons are STILL undefeated. They are doing a fantastic job this season. They beat Michael Vick and his Eagles 30-17. At this point, everyone is really starting to question Vick's worth as he's not performing well...even while playing on a $100 million contract. Jay Cutler and his Chicago Bears beat the Carolina Panthers this weekend, 23-22. Brandon Marshall and Jay Cutler are playing at a very high level these days. New England mopped the floor with the St. Louis Rams in London's Wembly Stadium. Tom Brady alone threw for four touchdown passes helping his team beat the Rams 45-7. The Miami Dolphins beat the NY Jets. The Dolphins looked to their backup quarterback, Matt Moore after starter Ryan Tannehill injured his left knee and quad muscle. This was a bit of an upset and had the Jets crowd chanting for Tim Tebow during the game. That can't be fun to hear if you're Mark Sanchez! Andrew Luck and his Indianapolis Colts won again. 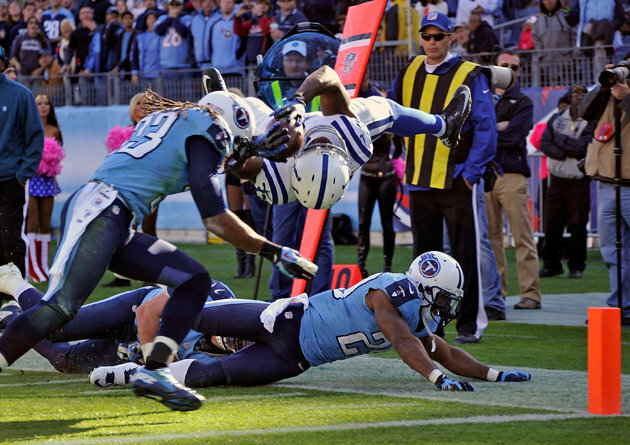 This time by a last minute play in overtime, beating the Tennessee Titans 19-13. 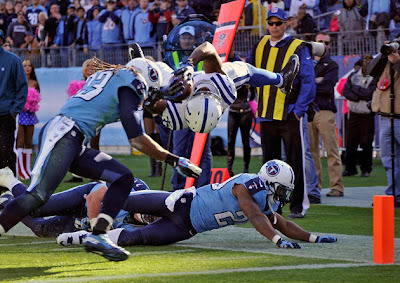 The winning play made by RB Vick Ballard (see picture) played out in dramatic fashion--he crossed the goal line upside down with his head almost hitting the pylon for a touchdown. It was cool, he kinda spun through the air and barely reached the ball over the line. The NY Giants beat the Dallas Cowboys 29-24 at home. It's funny, ever since the Cowboys got the great new stadium four years ago, they've never won there against the Giants! Tony Romo threw 4 interceptions. Ouch. On Sunday night, Peyton Manning and his Denver Broncos crushed Drew Brees and his New Orleans Saints, 34-14. And last night during Monday Night Football, we switched back and forth between watching Superstorm Sandy on the Weather Channel and watching the 49ers dominate the Arizona Cardinals 24-3. San Francisco's "stingy defense" only allowed 3 pts by the Cards and Randy Moss caught his first touchdown as a 49er. Happy Saturday, all! 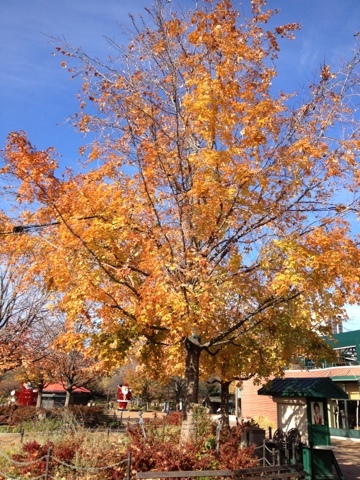 It's a spectacular fall day here in the San Francisco Bay Area. I just put the final finishing touches on our Halloween decorations and the little one is down for her nap so I thought I'd give you a heads up of the games to watch this weekend. Have a great day! Washington Redskins at Pittsburgh Steelers: This is a good game even though neither team has a winning record. The Steelers defense isn’t the powerhouse that it used to be so it will be interesting to see what Redskins quarterback RG3 can do. Steelers quarterback Ben Roethlisburger is always entertaining to watch and I think there should be some good highlights from both teams. Atlanta Falcons at Philadelphia Eagles: The Falcons are still undefeated and playing at a very high level. Michael Vick and his Eagles continue to disappoint fans but perhaps letting go of defensive coordinator Juan Castillo (the guy who bosses around the defense) will be the spark to ignite what should be a very high powered offense and defense. This could be a very exciting game…..the Falcons have been forcing a lot of turnovers on defense and Vick leads the league in turnovers so it should be interesting if nothing else. Eagles: QB Michael Vick, WR Jeremy Maclin and Desean Jackson, RB LeSean “Shady” McCoy. New England Patriots vs St Louis Rams: The reason I'm highlighting this game is because it is being played across the pond in England. The NFL has been in talks recently about having a permanent team in the UK one of these days…..I’m not sure if it will happen but the NFL is having at least one game per season in the UK. I think the Patriots should run away with this one but the Rams have been playing decent. 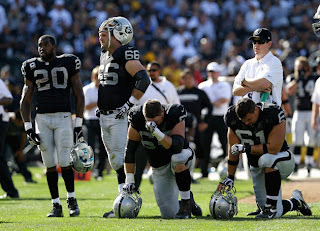 Oakland Raiders at Kansas City Chiefs: Both of these teams have losing records and aren’t playing up to their potential. With that being said, each team has one of the top running backs in the game with Raiders' Darren McFadden and Chiefs Jammal Charles. Also, AFC West division games are always very hard fought (much like NFC East games). The Chiefs and Raiders have a long standing mutual hatred for each other and it should show with several fights on the field. Who doesn't love a good fight?Heh, heh. New York Giants at Dallas Cowboys: These two teams opened the season against each other and Dallas won that matchup. The Giants hope to go into Dallas and get a win to continue their dominance over the NFC east division. Again, all NFC east matchups are going to be hard fought games and I expect to see some fighting and inappropriate language on the field. Again, who doesn't like a little rowdiness on a Sunday morning? Dallas starting RB DeMarco Murray is out for the game which hurts Dallas in the running game department so look for Tony Romo (Jessica Simpson's ex) to be throwing the ball to WRs Dez Bryant and Miles Austin (one of the many athletes that Kim Kardashian has dated). New Orleans Saints at Denver Broncos: Remember back to the Super Bowl when Payton Manning was on the Colts and he lost to Drew Brees and his Saints……I’m pretty sure Payton will never forget that game. Well he’s on a new team but still playing at a very high level. The Saints have taken awhile to get going but now are playing well and I expect this to be a high scoring game with two of the best QBs facing off. San Francisco 49ers at Arizona Cardinals: The Cardinals have been a surprise this year, winning their first 4 games of the season. They now have lost 3 in a row and look to bounce back. Unfortunately they will have a very tough time against the 49ers who, aside from losses to the NY Giants and Minnesota Vikings, have been playing some phenomenal football this season. This should be a good primetime game but I think the 49ers defense may be too much for the Cardinals abysmal offensive line (I heard the other day that it was the worst offensive line in football, maybe that’s why they have already lost 2 RBs for the season due to injury). Quick shout out to the San Francisco Giants!! They play their first game of the World Series today. Congrats, guys...Go Giants! The Houston Texans dominated the Baltimore Ravens, 43-13. The Ravens were missing star player, Ray Lewis, who was out with a torn triceps. A few other injuries are plaguing this team as well. Texans Matt Schaub threw two touchdown passes and running back Arian Foster ran for two scores. The Dallas Cowboys won a close game over the Carolina Panthers, 19-14. Dan Bailey kicked four field goals, helping the Cowboys beat Cam Newton and his Panthers. This helped break a two-game losing streak, making their record 3-3. Eli Manning and his NY Giants beat RGIII and his Redskins this week, 27-23. In the Battle of the Hot QBs, Patriot's Tom Brady beat out Jet's Mark Sanchez in a 29-26 win. This was a great game that went into overtime. More importantly, Mark Sanchez got dumped by his girlfriend of a few months, Eva Longoria. Maybe it was because he lost? 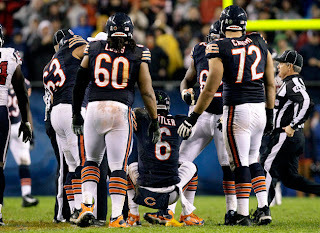 During the Monday night game, Jay Cutler returned to the game after bruising his ribs and the Chicago Bears beat the Detroit Lions 13-7. He got pretty banged up by defensive tackle Ndamukong Suh. (Good luck pronouncing that one-it kind of rhymes with 'donkeykong sue') Apparently Suh is among the least liked players in the NFL according to a recent survey done for Forbes magazine. This makes sense considering he was suspended by the league last season for stomping on a GB Packers lineman in front of all of America on Thanksgiving Day. Seems like a lovely fellow. Happy Sunday morning, everyone! Here is a quick overview of what to watch today. The Baltimore Ravens take on the Houston Texans in a great matchup. Both teams are 5-1 and are exciting teams to watch with high-powered offenses. 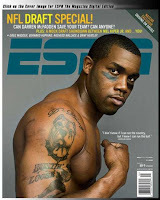 On the Ravens, watch for running back Ray Rice and on the Texans, look for running back Arian Foster. They should be power players today. Watch Tony Romo and his Dallas Cowboys go up against Cam Newton and his Carolina Panthers. Both teams have losing records at this point but also have exciting, high-powered offenses. In an NFC East division battle, the Washington Redskins battle the NY Giants. These games always tend to be hard fought battles and the fact that RGIII and Eli Manning are the respective quarterbacks doesn't hurt either. On the East coast today we have the *Battle of the Hot QBs* as Mark Sanchez and his NY Jets take on Tom Brady and his New England Patriots. Staring at cute boys is always fun. Another interesting tidbit is that Jets coach Rex Ryan hates the Patriots coach, Bill Belichick. Should be interesting! This AFC North matchup between the Pittsburgh Steelers and the Cincinnati Bengals centers around Bengals young quarterback Andy Dalton and Steelers QB, Ben Roethlisberger. You can also watch one of the best wide receivers around (the Supermodels, remember?) in AJ Green on the Bengals. Also, watch for wide receiver Mike Wallace on the Steelers. This should be a great game. The Detroit Lions, with QB Matthew Stafford and WR Calvin Johnson (also known as "Megatron") take on the Chicago Bears, led by QB Jay Cutler and WR Brandon Marshall. Of course, we all know that Jay Cutler and Kristin Cavallari just welcomed a baby boy a few weeks ago. 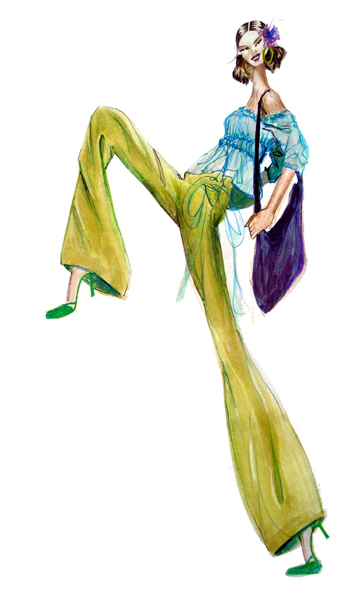 Looking good, girl! That's it for now! Stay tuned for our Tuesday recap! 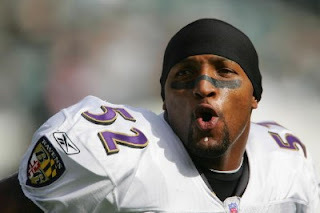 Ray Lewis says, "oooh, my triceps hurts!" You should be noticing by now that everyone is sporting pink uniform accessories in honor of October being breast cancer awareness month. Over on the Baltimore Ravens, linebacker and team captain Ray Lewis injured his right triceps muscle and it is questionable whether he will return quickly. The Ravens did manage to beat the Dallas Cowboys 31-29. Rookie QB Ryan Tannehill and his Miami Dolphins won another game against the St. Louis Rams, making the team's record 3-3. The Detroit Lions beat the Philadelphia Eagles 26-23 in overtime. Eagles QB Michael Vick is leading the league in turnovers. This is very bad. Especially when you recently signed a contract for $100 million. The Cleveland Browns finally won their first game of the season vs. the Cincinnati Bengals 34-24. Good job, guys. Their record is now 1-5. Mark Sanchez and his NY Jets crushed Andrew Luck's Indianapolis Colts on Sunday 35-9, even though Sanchez only passed for 82 yards. This is apparently a very bad thing. At least they got the win! The Atlanta Falcons beat the Oakland Raiders with a last-minute field goal keeping them undefeated after the first six weeks of the season. It was a devastating loss for the Raiders. The Seattle Seahawks defeated Tom Brady and his New England Patriots by one point. 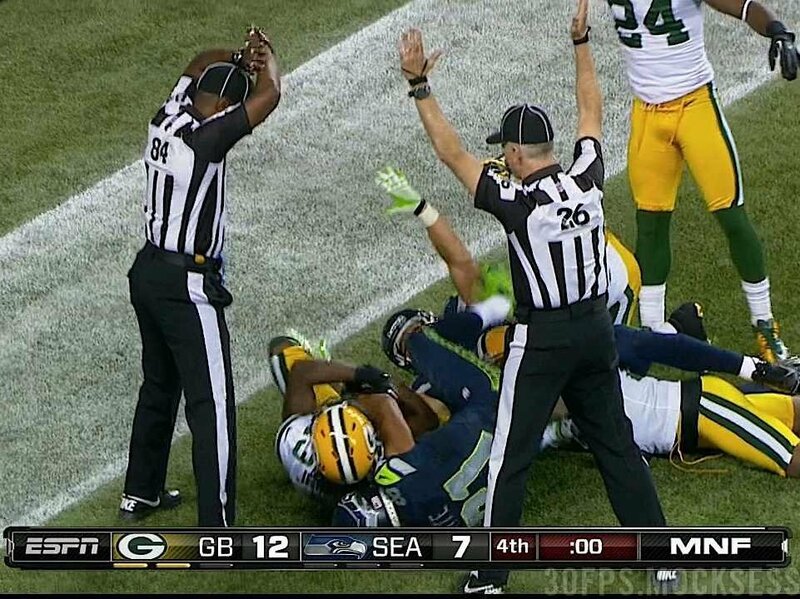 I'm not liking the Seahawks more and more. They seem like a really sore losing team and a team who will rub it in your face if they win. I found out that their head coach is former USC coach Pete Carroll. No wonder! I went to UCLA and the whole USC student body always seemed like poor sports. Nice to see he's continuing the tradition. And that's our recap, stay tuned for what to watch for week 7! Cornerbacks. The WR's arch rival. Ok, so now you've almost got a grasp of the entire team. For our purposes tonight, I'll ask you to remember back to the Wide Recievers (aka the 'Supermodels.') on the offense. Our QB (Goldenboy) can chuck the ball way down field to the WR, who is usually very tall, slender, has a big, outgoing personality and isn't very likely to get his hands dirty--hence the 'Supermodel' moniker. However, on the defense, there are these other fellows. They are watching the Supermodels like a hawk. And these fellows are maybe not as tall or as outspoken as a wide receiver. But these guys want that ball that the WR is trying to catch. They want it bad. It's not even that they usually think they could intercept it and run it back for a touchdown. They'd be happy just to knock it out of your hands and make you look like a dipsh*t. They are the arch rivals. Also known as the 'secondary,' or the second line of defense behind the linemen (paparazzi) and the linebackers (super stalkers). If the QB is throwing (passing) the ball, these guys are the ones trying to make SURE the WRs don't catch that ball. They want to scream 'Neener neener boo boo' at the opposing team and maybe trip them so that they can't shine. They aren't quite good enough to be a wide receiver, but they can sure mess them up. We've all run into these people, haven't we? They are the thunder-stealers. The Burger King to your McDonald's. The Kate Moss to your Naomi Campbell. Basically, the cornerbacks are there to make sure the wide receiver doesn't catch the ball. And that's that. Good morning everyone! Please brush up on the Wide Reciever position from my previous posts because tomorrow we are going to learn about the Cornerbacks! 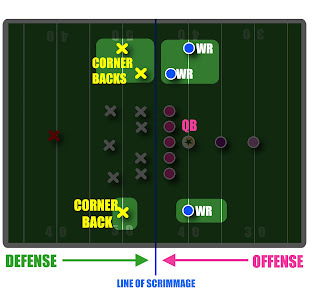 In order to understand the Cornerbacks, you need to understand the Wide Receiver so let's get crackin! Stay tuned for tomorrow! Meet your wide receivers. These are the guys with no dirt on their uniforms. They are the ones you see running full speed while looking backwards over their shoulders while reaching out (sometimes with only one hand) to catch the ball--all while trying to keep two feet in bounds at all times. They are usually tall, on the thin side, super fast and graceful. Almost like a Gazelle.....or, shall we say, a "Giselle." So, in other words, Tom Brady is in fact passing the ball down field to his wife Giselle. Who woulda thought? On top of the world waiting for the Blue Angels to start! 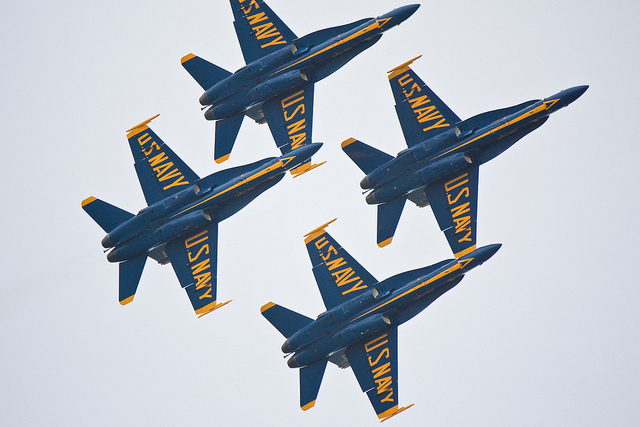 Blue Angels during Fleet Week!! Happy Friday to everyone! I've got a super fun/busy weekend coming up. Two of my fave girls from UCLA are coming to visit (Wooo Mariah and Dahlia--love you girls!) and we'll be going to see the fabulous Blue Angels fly over San Francisco with the America's Cup boats cruising around the bay. Now that's my idea of a "sporting event." Of course, as we recover on Sunday, we'll be watching football! Here are a few fun facts to get you through the weekend. Test your sports fan's knowledge and stay tuned for What to Watch-Week 5. Coming soon! 1) There is only one city in the entire country who's sports teams all have the same team colors. Good morning, everyone. Let's review what happened this weekend. At the (almost) end of week four, three teams remain undefeated: The Arizona Cardinals, Atlanta Falcons and the Houston Texans. Our little Ryan Tannehill and his Dolphins almost won, but the Cardinals came back to win it in overtime. RGIII and his Washington Redskins beat the Tampa Bay Buccaneers 24-22 in a last minute comeback. Tom Brady and his Patriots pulled off a monster win against the Buffalo Bills 52-28. Remember that the Patriots were in danger of losing three games in a row...for the first time in 10 years! During the night game, the Eagles eked out a win over the NY Giants (19-17) after the Giant's field goal kicker missed the kick. Apparently the Eagles became the first team in NFL history to win their first three games by two points or less. Great question to ask a guy is if you think the Eagles (and maybe even the Cardinals) are a fluke this year or if they really are that good. Peyton Manning and his Denver Broncos beat the Oakland Raiders 37-6. The GB Packers beat the New Orleans Saints 28-27. Remember that both teams needed this win badly. However, the Saints lost and now their record is an awful 0-4. And there you have it! Stay tuned for tonights game, the Chicago Bears vs. the Dallas Cowboys at 8:30pm ET. In the morning, I'll probably be watching is the 49ers/NY Jets game. The Niners are coming off a loss and both teams have a 2-1 record. 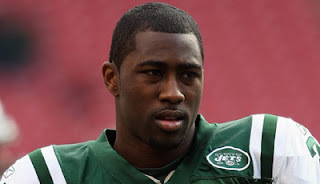 The Jets recently lost Darrelle Revis, one of the best defensive players in the league with a season ending injury (torn ACL) last week. 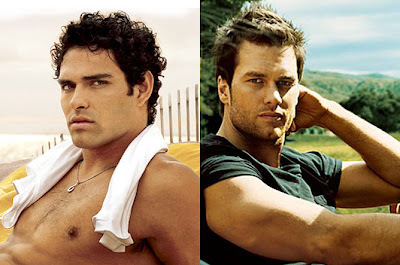 Let's also see if Jets QB Mark Sanchez can concentrate now that he's dating Eva Longoria. The Atlanta Falcons/Carolina Panthers game should be fun to watch. Atlanta is undefeated going into week four and many critics think they might be the best team in the league. Over on the Panthers side, QB Cam Newton is always a great player. This should be an exciting game. The Buffalo Bills/New England game should be interesting. Tom Brady and his Patriots have a losing record (1-2) going into week four and they really need a win to get back on track. In the afternoon, whilst we attempt to put up Halloween decorations at the Alexander household, we'll probably also catch the Oakland Raiders/Denver Broncos matchup. These two teams have always had an intense rivalry and those games are always a lot of fun. Trash-talking and what not. Plus, we'll get to watch Peyton Manning and see if he can get a win. Also watch for Raiders running back, Darren McFadden. The night game should be a great one. The NY Giants and Philadelphia Eagles have an NFC East rivalry. Those games typically tend to be exciting. Eli Manning vs. Michael Vick. And there you have it!! Enjoy the last day of the weekend! So unless you've been living under a rock, you've heard about this. 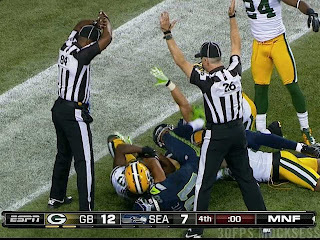 During the Monday night game between the Seattle Seahawks and the Green Bay Packers, the replacement referees made a ton of questionable calls, culminating in what will now go down in history as one of the worst calls in the NFL. Seahawk's wide reciever Golden Tate shoved a defensive player out of the way and jumped up to grab the ball thrown into the endzone by Seattle's QB, Russell Wilson. As he was doing this, Packer's safety, M. D. Jennings also jumped up to grab the ball. Good morning, everyone. How was your weekend? Mine was long. 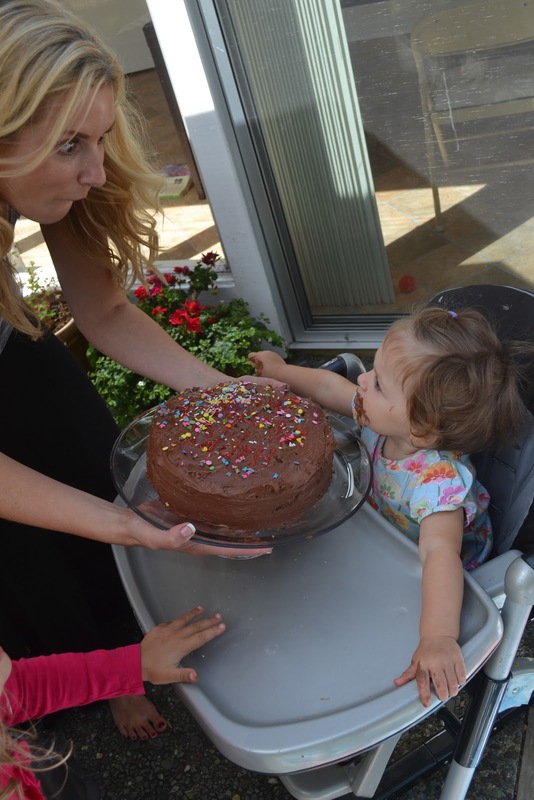 My 1-year old is the absolute best...until night falls. Then these four massive teeth that are trying to come in take over and make her a screaming lunatic about every 40 minutes. All. Night. Long. O.M.G. And of course she's also growing so she'll wake up again at 5am starving. And screaming, of course. What kills me is that my 4-year old sleeps through the entire thing! I swear a bomb could go off and she'd sleep through it. Anybody else dealing with this? I feel your pain! Alright, it's finally time for me to finish my definitions of the defensive positions! 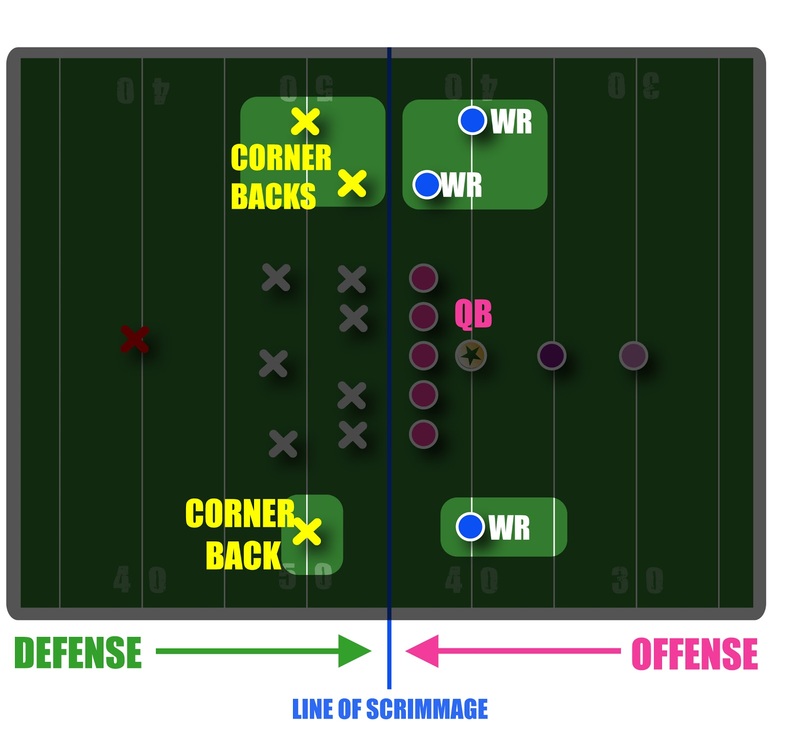 As most of you know, across the top of this blog there are tabs that explain the rules, the field, some phrases and some of the positions. We've discussed the offensive positions: the Quarterback, Tight End, Running Backs and the Wide Receivers. On the defense, we've covered the Defensive Linemen. Today, we're gonna learn about the Linebackers, or as I've conveniently named them, the "Super stalkers." Philadelphia Eagles: Had 9 turnovers in first 2 games...both of which they managed to win by one point! Apparently this hasn't happened since 1983. Ask a dude, "So, do you think the Eagles winning these two games is just a fluke?" or "Do you think Vick can fix his interception problem?" Biggest upset of the week: New England Patriots lost to the Arizona Cardinals. What to say to a dude, "So, what was with the Patriots this weekend?" The New Orleans Saints lost again, making their record 0-2. Our Hard Knocks Miami Dolphins won their first game! Reggie Bush and Ryan Tannehill looked great against the Oakland Raiders. Andrew Luck and his Colts did much better this week, beating the Minnesota Vikings 23-20. The Cincinnati Bengals beat out cross town rivals the Cleveland Browns but the Browns running back, rookie Trent Richardson, had a breakout game. The San Francisco 49ers are playing great and beat the Detroit Lions, 27-19. Peyton Manning and his Broncos looked bad tonight against the Atlanta Falcons. He threw a bunch of interceptions and just couldn't recover. K-I-S-S-I-N-G! That's right, folks. Eva Longoria has snagged yet another professional athlete, this one 12 years her junior. Longoria, 37, recently confirmed on Extra that she is dating Mark Sanchez, 25, quarterback of the New York Jets. The two have been spotted shopping together and dining at Donald Trump's exclusive golf club in New Jersey. Longoria is the ex-wife of basketball star Tony Parker, 30, and was recently linked to 25 year old Spanish singer Eduardo Cruz. She's kinda like the senior guys in "Dazed and Confused." She keeps getting older and her guys just stay the same age. You go, Eva! I'd love to use these middle-of-the-week blogs to explain things that were unclear (at least to me!) during the games. I don't know about you, but when I watch football, the commentators talk about things as if you've already taken 50 classes in the sport and now you're in the advanced class. Wrong! Let's back it up a little, fellas. I am positive that this is one of the reasons why women feel left out on game day. It's like a secret club. If you guys ever have any questions or need anything explained in a more "female-friendly" way, please add a comment or send me an email! So this weekend when I was watching some after-game interviews, the term "Pick 6" was mentioned. Huh? Like Lotto? Is there a bonus round? Apparently not. What it means is this: When the quarterback throws the ball and is caught by a member of the opposing team (an interception), the slang term is called a "pick," a shortened form of "picked off." Who knew? And why the "6," you ask? Well, in this case, if that same interception is returned for a touchdown, they get 6 points. Duh. So, let's say Tom Brady (Patriots) throws the ball and it's caught (intercepted) by Randy Moss (on the 49ers) and he then turns and runs it into the endzone for a 49er touchdown, it would be considered a "Pick 6." And there you have it. ESPN columnist Bill Simmons suggested the abbreviation "TAINT" (Touchdown AfterINTerception), but this largely failed to catch on, possibly because of other slang meanings of "taint." Bahahahahahahhaaaaa! Can you imagine? Hey there, Bill, didja see that TAINT? That was incredible! 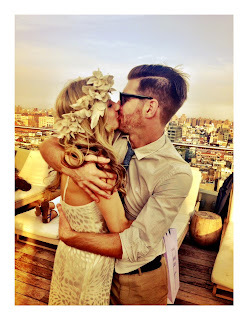 R & S--Aw, aren't they cute?? me this morning? I recorded it...I really need to see some highlights!" I don't know who was more shocked, him or me. I have to say, I think after four years of writing this blog I'm actually kind of getting it! First off, I want to give two shout-outs: One to my UCLA Bruins after not only the football team but the Men's Soccer team, the Women's Soccer team, the Women's Volleyball team and the Men's Water Polo team ALL won their games this weekend. Go Bruins!! Second, I've gotta give a shout to my dear friends Rebecca and Sean, who's wedding celebration we attended in San Diego this weekend. What a fabulous time. Good friends, good times. Congrats guys!! Ok, so let's get down to the games and goings on of the weekend. Remember our rookie players that we learned about last week? Let's see how they did. 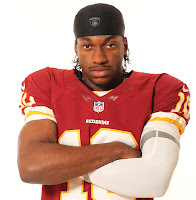 Remember RGIII on the Washington Redskins? Well, folks, he killed it. A+. He has lived up to, if not surpassed all of the hype. Everyone at your office will be talking about how great he was on Sunday against the New Orleans Saints. He became the first player in NFL history to have 300 passing yards, 2 touchdowns and 0 interceptions in the 1st game of his career. Amazeballs. This guy is a beast. You will definitely hear more about him in the weeks to come! Congrats! You may now keep all of your sponsors. 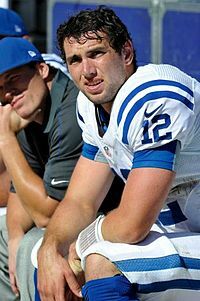 ANDREW LUCK is the also hyped, 1st round draft pick for the Colts who replaced Peyton Manning. He did...meh. We'll give him a B-/C+. This isn't college, honey. Look at me sounding so harsh. He had 3 sacks, 3 interceptions and 3 fumbles during his first game. Not so "Luck-y." Jay Cutler and his Chicago Bears killed them 41-21. I wonder if the Colts are kicking themselves this morning for dumping Manning considering he looked fantastic and led his new team, the Denver Broncos, to a win over the Steelers 31-19. This is after he was out all of last year after having 4 neck surgeries. He also became only the third person in the NFL to get 400 touchdowns in his career on Sunday. Apparently this is a lot. 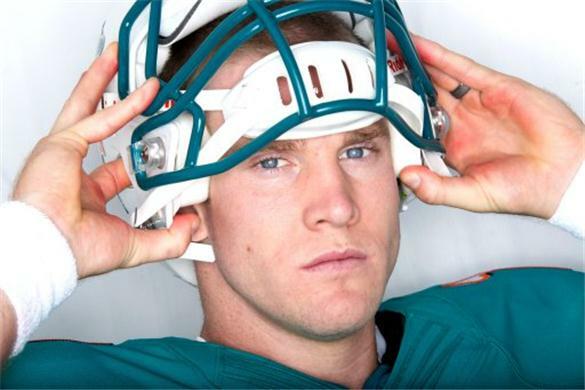 And then there's our poor, poor RYAN TANNEHILL that we've grown to love from Hard Knocks (HBO) on the Miami Dolphins. He gets a D. Even though I love him and his hot wife. Tannehill threw 3 interceptions in less than six minutes in the 2nd quarter. This is bad. On SportsCenter, they said he had problems with "staring down the receivers," meaning that most QBs sort of look at other receivers when the ball is snapped and then at the last second look and throw the ball to the intended receiver. You know, like a fake-out. Apparently Tannehill was just staring at who he was gonna throw the ball to. As you can tell, this makes it easy for the defense to just go chase after that guy. Sigh. Another rookie who did even worse than Tannehill was BRANDON WEEDON on the Cleveland Browns. He gets an F. I've gotta ask my girl Jenn over at Sports Stole My Man if everyone in Cleveland is crying today. They played Michael Vick (who looked almost as bad!) on the Philadelphia Eagles. BOTH Weedon and Vick threw 4 interceptions and generally just looked terrible. Vick eked out the win for the Eagles 17-16. In other news, our own SF 49ers looked great with back-from-retirement Randy Moss. They beat the Green Bay Packers 30-22. The NY Jets scored an impressive 48 points over the Buffalo Bills, the most ever in franchise history for a season opener. Bill's Fred Jackson had a cringe-inducing knee injury that may keep him out for 3-4 weeks. You may remember that Tim Tebow got traded to the Jets...he played a little bit, but Mark Sanchez was in for the majority of the game. 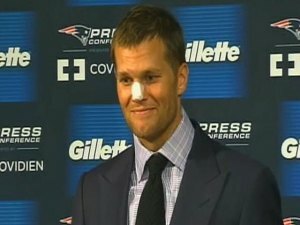 Oh yeah, and Tom Brady busted his pretty nose! Apparently it's not broken, but if you look on the replay, this guys shin literally goes right into the open spot on his helmet and slams him in the face. Ouch. Whatever, he's still hot. I bet Giselle is pissed. There are two Monday night games tonight (a little excessive, I know). The Cincinnati Bengals take on the Baltimore Ravens at 7pm ET and the San Diego Chargers take on the Oakland Raiders at 10:15pm ET.